The Glades County School District predates the establishment of Glades County. In fact when Glades County left DeSoto County and began organizing county offices in 1921, the commission leased the school board building until the new courthouse could be built in 1926. The original school building occupied what is now the fenced in lot near the old Glades County Jail. In 1951, the elementary school was built, followed by the original high school in 1958. In 1968 a new elementary school was built and the district used the old building for grades 7-12 until the new high school opened in 2015. The district had a total of 700 students in 1982 and the facilities have grown with the student population. West Glades in Muse, for example, was constructed as an elementary school in 2005, and now has 500 students enrolled in k-8th grade. 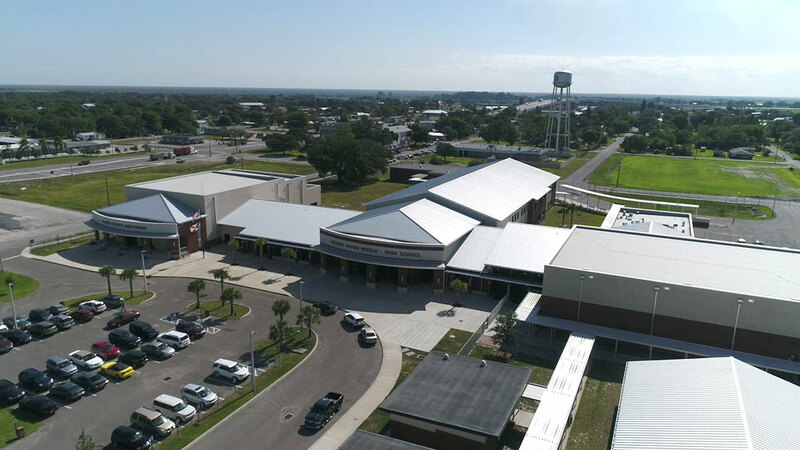 The new Moore Haven Middle High School opened in February 2015 with an enrollment of 500 students and is expected to reach its 545 student capacity within a year. The high school is averaging an annual growth rate of nine percent, with many students attending from neighboring school districts. This growth is attributed to a strong educational culture, which focuses on helping students developing the skills needed to be productive citizens. Toward that end, the Moore Haven Middle High School Scholarship Foundation strives to provide a scholarship, to college or a technical center to every graduating student who applies. District wide, enrollment is 1600. Glades County Schools have a diversity score of 0.62, which is higher than the Florida average of 0.46. Minority enrollment is 56% (majority Hispanic) and includes a mix of African American, Native American and Caucasian students. The student:teacher ratio is 15:1. Adults and out-of-school youth can continue their educations at the Glades County Regional Training Center, located in the Glades County Business and Commerce Park. Currently GED courses, and CDL Training by Suncoast Trucking Academy are being offered on site. Grant funded courses for welding, diesel mechanics and machining are in development.